David Freeman, 412th Test Wing Emerging Technologies Combined Test Force, hand launches a small unmanned aircraft system in the north part of Edwards Air Force Base, California, Feb. 27. 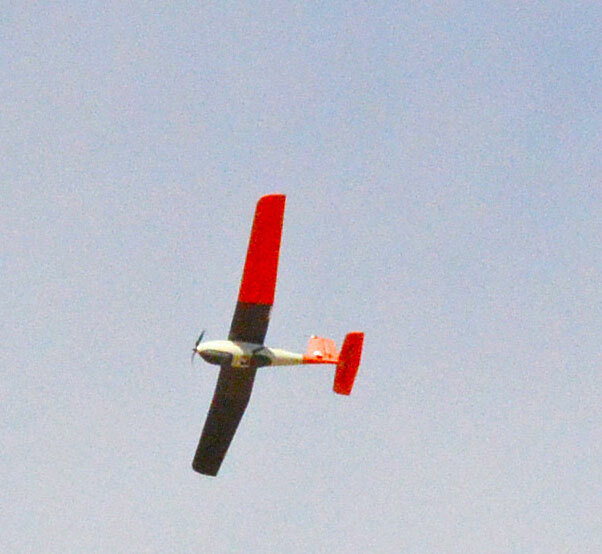 The ET CTF conducted its first autonomy flight test Feb. 26-28. The 412th Test Wing’s Emerging Technologies Combined Test Force conducted its first autonomy flight test Feb. 26-28, 2019, at Edwards Air Force Base, Calif. The flight test involved hand launching a Lynx small unmanned aircraft system made by Swift Radio Planes. The TACE payload itself is not designed for a specific aircraft, but can be used on different aircraft sizes for test, said Riley. 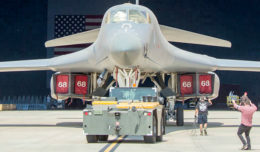 “If a safety-of-flight parameter is violated during an autonomously commanded maneuver — aka proximity to other test aircraft, flying out of an airspace boundary, or losing communications with the ground unit — then TACE will stop the commands from the autonomy and force it to remediate and loiter at a pre-determined safety location,” said Riley. 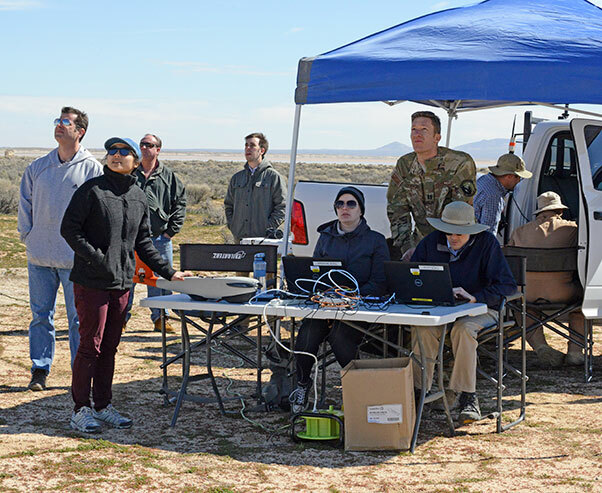 The 412th Test Wing’s Emerging Technologies Combined Test Force Autonomy test team monitors a small unmanned aircraft system Feb. 27 during the ET CTF’s first autonomy flight test. 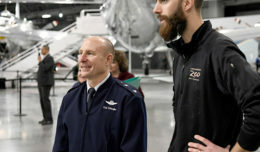 The second function is called Live-Virtual-Constructive, which is the ability for TACE to allow simulated entities to interact with live aircraft. 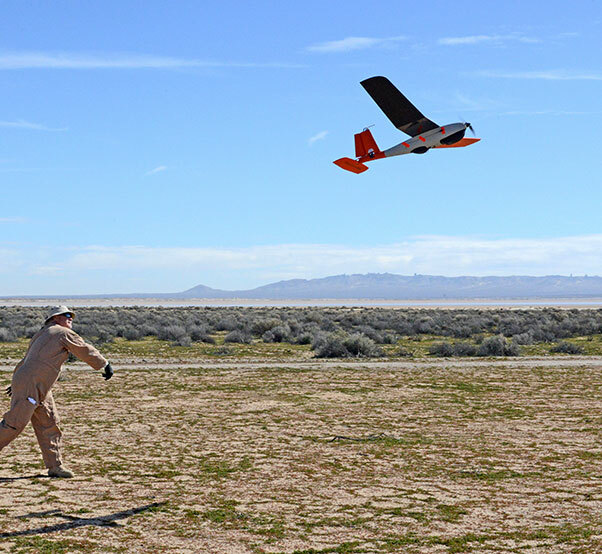 A Lynx small unmanned aircraft system made by Swift Radio Planes flies over Edwards Feb. 27. The 412th Test Wing’s Emerging Technologies Combined Test Force conducted its first autonomy flight test Feb. 26-28.